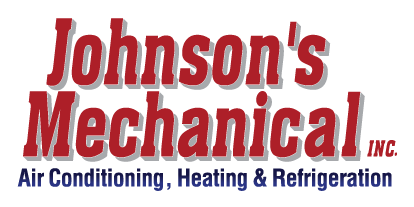 Custom Duct Work, Lakeland, FL | Johnson's Mechanical Inc. Custom Duct Work, Lakeland, FL | Johnson's Mechanical Inc.
Our custom duct work services in Lakeland will restore your ducts to their former state quickly. When ducts are damaged, there are a few key signs to watch for. If you notice things like moldy odors, increased energy costs, more dust or dirt in your home, or a drop in the effectiveness of your system to cool or heat your home, chances are that you have damaged air ducts. When this is the case, rather than procrastinating repair day, consider contacting us at Johnson’s Mechanical, Inc., for custom duct work services in Lakeland, Florida that will restore your ducts to their former state quickly, thus preventing more serious problems from developing. Our technicians have over 30 years of experience in custom duct work services and are knowledgeable, experienced and professional in our treatment of you, our customers. When you contact us for custom duct work services, not only will you be able to experience the relief of comfortable temperatures once more, but you will also be able to feel confident that your custom duct work service will be completed correctly, which means you won’t have to worry about ducts that are in disrepair anytime in the near future. Your satisfaction is our top priority, which is why we will arrive promptly, equipped to handle the job rapidly and effectively. We are a state certified HVAC and refrigeration contractor, which means we know our business. As a locally owned and operated company, we pride ourselves on our honesty and integrity. Your complete satisfaction is our top priority, which is why we will provide you with quality custom duct work services. With over 30 years of experience in the business, we are confident in our ability to meet the needs of your family. Experience the difference that our business provides today!